Lighting is often referred to as the “jewelry of the home” since finishing your design with stylish fixtures can quickly transform its look. 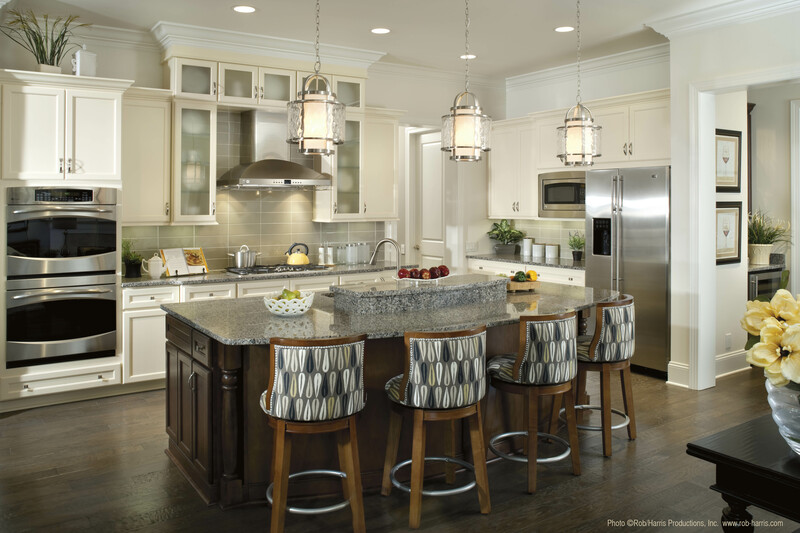 And although home design trends don’t go in and out as quickly as the latest fashion accessories, there are still some stand-out lighting styles that have gained recent popularity in today’s most designer-focused homes. Here’s our list of the top lighting trends of 2016 to illuminate your new year. Handcrafted elements—think antique mirrored glass, modernized scrollwork, or hand-bent arching forms—fall into the artisanal category. It’s a trend that adds a warm authenticity to any room, but works especially well in kitchens, bathrooms, bedrooms, and living rooms—the places where you and your loved ones spend most of your time. 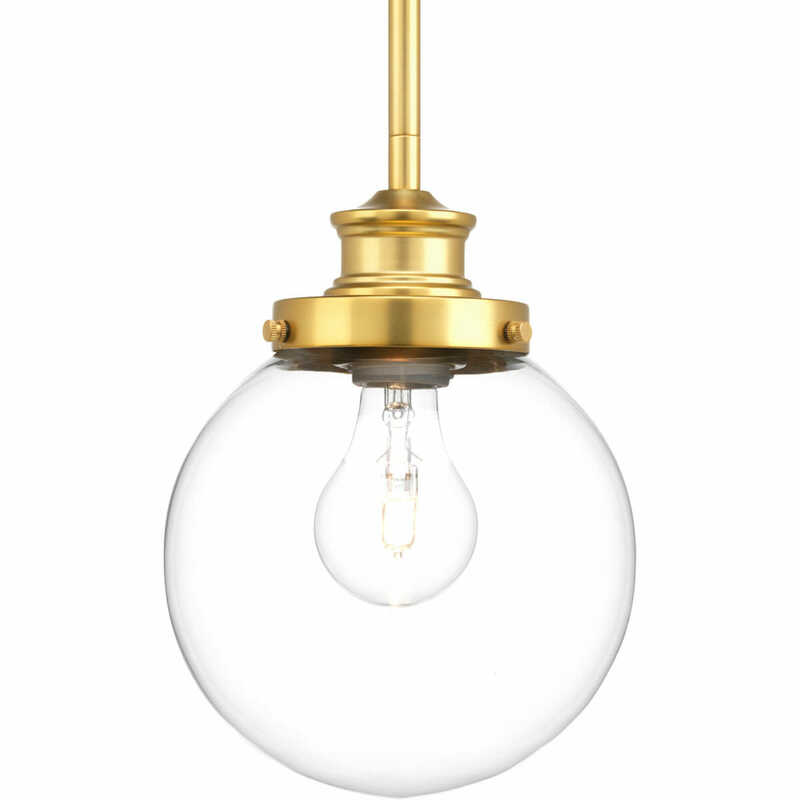 A fixture with exposed Edison bulbs (pictured above) adds vintage flair to a modern living space. You can add a bit of this cozy charm to your own home by merging recycled materials and vintage accents with modern undertones for a unique design. 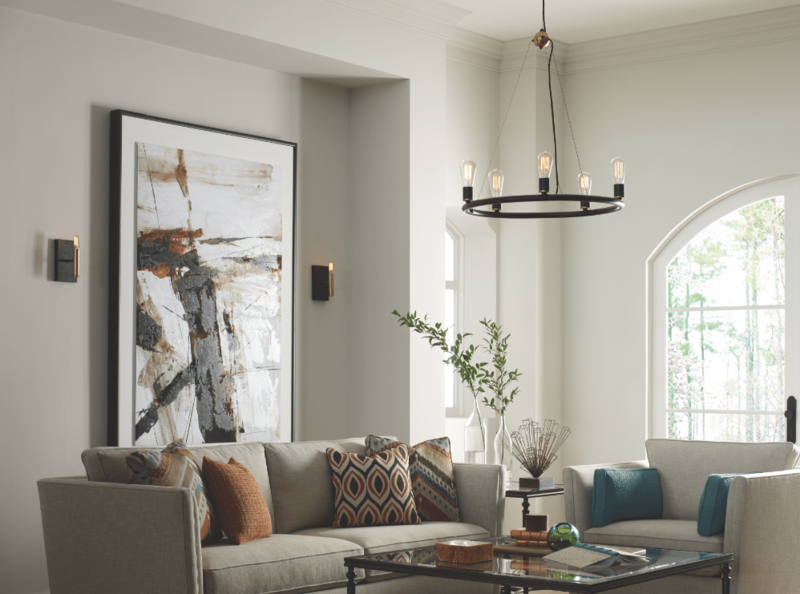 Lighting fixtures that make a bold statement and serve as the focal point of a room are trending in residential design. The best part is that you don’t have to have a large home to take part in this trend—a statement pendant in a kitchen nook or above a dining room table can make for a beautiful style accent, even in small spaces. Homes with a large foyer or tall ceilings work well with a large fixture—like the one pictured above—to draw the eye up while simultaneously filling the empty space. Warmer metals are in, and this trend is expected to gain momentum in 2016. From appliances to hardware to light fixtures—bronze, brass, and gold tones are making their mark. Not only are finishes “heating up” but the freedom to mix metals is gaining in popularity. Gone are the days where one finish characterizes the entire house, or even a single room. Be bold and mix and match your favorite metallic tones! There’s just something about the charm of the seaside. With navy being a top color trend for 2016, complement your look with new fixture designs that are reminiscent of vacations spent on Cape Cod, like the hanging nautical lanterns pictured above. Most popular in homes close to the shore, fixtures sealed with beveled or seeded glass are another sign of coastal influence. 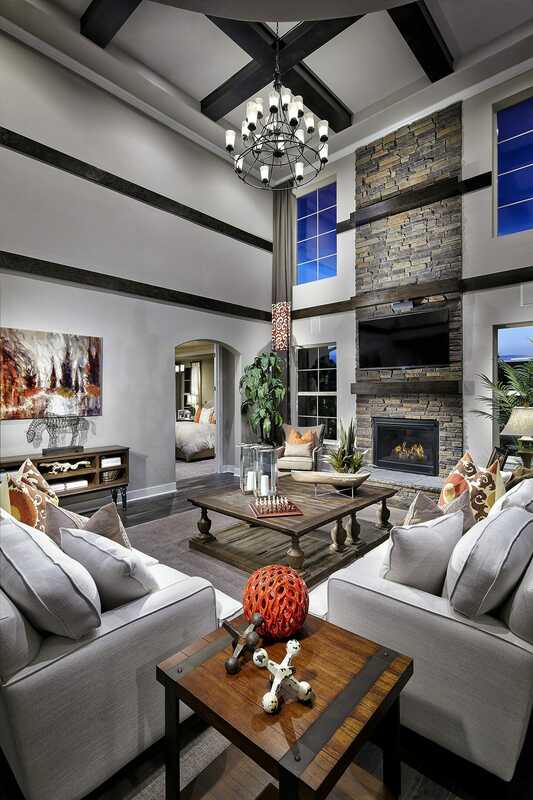 The industrial trend is growing as more homes incorporate vintage electric design elements. Pair industrial designs with rustic-inspired interiors as a way to warm up this popular trend. For lighting, fixtures that incorporate steely accents, knob and strap details, and mixed metals contribute to the industrial phenomena. 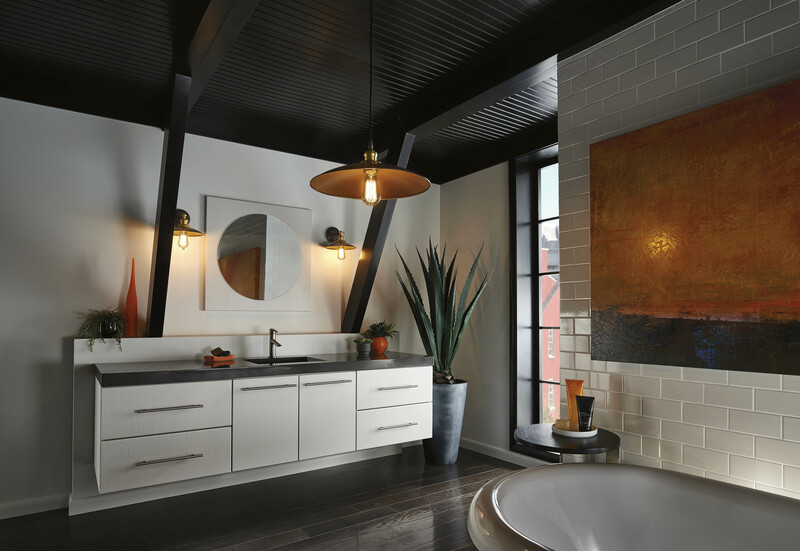 From bronze to gold to black, fixtures with contrasting metals bring an industrial vibe to any room setting—even the bathroom! A surge in furniture, textiles, colors, and fixtures that were prevalent in the 50s, 60s, and 70s is proof of the growing nostalgia for “simpler times.” Prismatic glass and fabric shades, brass accents and traditional forms are making a huge comeback in lighting design. Just look at how this large shaded pendant freshens up the space you’d expect to see a traditional chandelier. What are your current favorite lighting trends? Let us know in the comments below! This guest post was written by Progress Lighting.